The presence of Clostridia, a common class of gut bacteria, protects against food allergies, a new study in mice finds. By inducing immune responses that prevent food allergens from entering the bloodstream, Clostridia minimize allergen exposure and prevent sensitization – a key step in the development of food allergies. The discovery points toward probiotic therapies for this so-far untreatable condition, report scientists from the University of Chicago on August 25, 2014 in the Proceedings of the National Academy of Sciences. Although the causes of food allergy – a sometimes deadly immune response to certain foods – are unknown, studies have hinted that modern hygienic or dietary practices may play a role by disturbing the body’s natural bacterial composition. In recent years, food allergy rates among children have risen sharply – increasing approximately 50% between 1997 and 2011 – and studies have shown a correlation to antibiotic and antimicrobial use. “Environmental stimuli such as antibiotic overuse, high fat diets, caesarean birth, removal of common pathogens and even formula feeding have affected the microbiota with which we’ve co-evolved,” said study senior author Cathryn Nagler, PhD, Bunning Food Allergy Professor at the university. 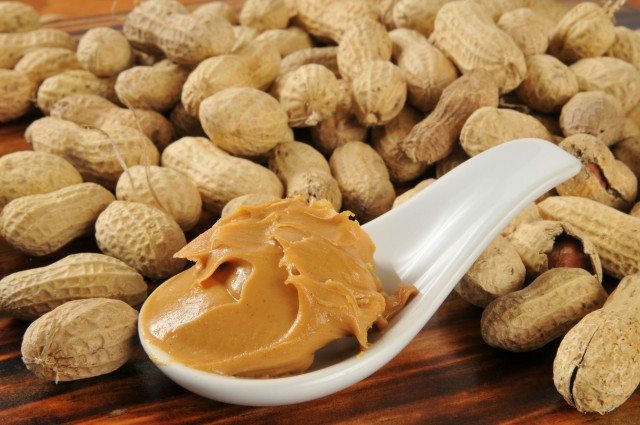 This sensitization to food allergens could be reversed, however, by reintroducing a mix of Clostridia bacteria back into the mice. The reintroduction of another major group of intestinal bacteria, Bacteroides, failed to alleviate sensitization, indicating that Clostridia have a unique, protective role against food allergens. To identify this protective mechanism, Nagler and her team studied cellular and molecular immune responses to bacteria in the gut. Genetic analysis revealed that Clostridia caused innate immune cells to produce high levels of interleukin-22 (IL-22), a signaling molecule known to decrease the permeability of the intestinal lining. Antibiotic-treated mice were either given IL-22 or were colonized with Clostridia. When exposed to peanut allergens, mice in both conditions showed reduced allergen levels in their blood, compared to controls. Allergen levels significantly increased, however, after the mice were given antibodies that neutralized IL-22, indicating that Clostridia-induced IL-22 prevents allergens from entering the bloodstream. “We’ve identified a bacterial population that protects against food allergen sensitization,” Nagler said. “The first step in getting sensitized to a food allergen is for it to get into your blood and be presented to your immune system. The presence of these bacteria regulates that process.” She cautions, however, that these findings likely apply at a population level, and that the cause-and-effect relationship in individuals requires further study. While complex and largely undetermined factors such as genetics greatly affect whether individuals develop food allergies and how they manifest, the identification of a bacteria-induced barrier-protective response represents a new paradigm for preventing sensitization to food. Clostridia bacteria are common in humans and represent a clear target for potential therapeutics that prevent or treat food allergies. Nagler and her team are working to develop and test compositions that could be used for probiotic therapy and have filed a provisional patent. “It’s exciting because we know what the bacteria are; we have a way to intervene,” Nagler said. “Food allergies affect 15 million Americans, including one in 13 children, who live with this potentially life-threatening disease that currently has no cure,” said Mary Jane Marchisotto, senior VP of research at Food Allergy Research & Education. The study, “Commensal bacteria protect against food allergen sensitization,” was supported by Food Allergy Research & Education (FARE) and the University of Chicago Digestive Diseases Research Core Center. Gene sequencing was conducted at the Next-Generation Sequencing Core at Argonne National Laboratory. Additional authors include Andrew T. Stefka, Taylor Feehley, Prabhanshu Tripathi, Ju Qiu, Kathy D. McCoy, Sarkis K. Mazmanian, Melissa Y. Tjota, Goo-Young Seo, Severine Cao, Betty R. Theriault, Dionysios A. Antonopoulos, Liang Zhou, Eugene B. Chang and Yang-Xin Fu.